How to Become an "Indian"? Once, twice a week I get inquires for assistance with Native American family research. This genealogy research can be quite rewarding, but I must discourage prospective clients from expecting Native Indian tribal membership as a result of a genealogy search. Simply said you can't become a Native American, if you weren't born as one. Seriously, you must have Native American blood. The last time you could have electively been an "Indian" was when you were playing a child's game. NY Native American Mohawks are only recognized through a mother's enrollment. Then a 1/4 blood quantum must be proven. Eastern Band of Cherokees must prove to be descendant from a person on the Baker Roll AND have a minimum of 1/16 blood quantum. United Keetoowah Band of Cherokee must prove to be descendent from a person on the Dawes Roll AND have minimum of 1/4 blood quantum. Cherokee Nation of Oklahomans must prove to be a descendent from a person on the Dawes Roll. No blood quantum requirement. Can DNA Help Prove My Native American Ancestry? Although there are markers that may indicate Native American bloodline, DNA testing does not verify specific tribes. And even though DNA spawns great genealogical interests, it isn't a tool for proving ancestral relationships. If your end desire is to forego the ancestry research and leap forward to Native American benefits please take note of the following: 1) not all Tribes or Nations are Federally recognized 2) tribal rights, finances, benefits, etc vary from tribe to tribe. 3) you must prove your relationship to the tribe. 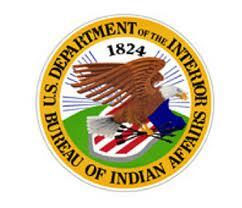 So before contacting the Bureau of Indian Affairs (BIA) for the Tribal leaders Directory: you will want to have sketched your pedigree to determine your possible blood quantum. Again, required amounts are determined by the enrolling tribe. I had the opposite situation: it was the experience of gaining citizenship in the Chickasaw Nation that attracted me to genealogy. There was lots of paperwork and records in the process. I had to prove my relationship to my great-grandmother, an original enrollee with a Dawes file. This wasn't difficult because we already knew she was an enrollee and that we had a connection to the tribe. People that think they have Indian blood somewhere down the line without concrete knowledge are going to have a much more difficult time proving it. This experience taught me a lot about my family and put me on the family history path I'm on today. I do not receive financial benefits. My child gets a small gift card for good grades. My dad qualifies for and receives some senior citizen benefits for eyeglasses and medicine. There are no big checks cut from casino profits, as some folks believe. The rewards are mostly spiritual, which is more important to me. Thank you for this informative post that spells out the reality of becoming an "Indian."